Ignition Tokyo, with Okami’s Takeyasu Sawaki at the helm, set out to tell a tale that possibly took place 360,000 years ago, or 14,000 year ago, we’re not entirely sure. 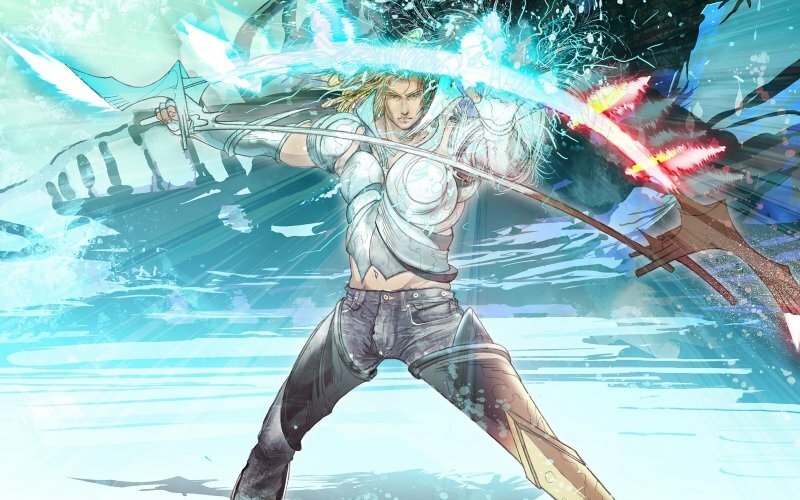 Drawing from christian and judaic mythology, and specifically The Book of Enoch, El Shaddai: Ascension of the Metatron combines combo driven gameplay, with a wildly creative aesthetic, to portray Enoch’s mission to return the seven fallen angels to heaven. Featuring special guest Sean Bell from Midnight Resistance and Joypod.